Stock product - detailed vector illustration - 2D Vintage Collection - Floral 04 - created by Aurielaki. Image formats EPS AI JPG. SKU: Floral-04-Vintage-2D-AurielAki. Category: Old Paper Labels Vector. 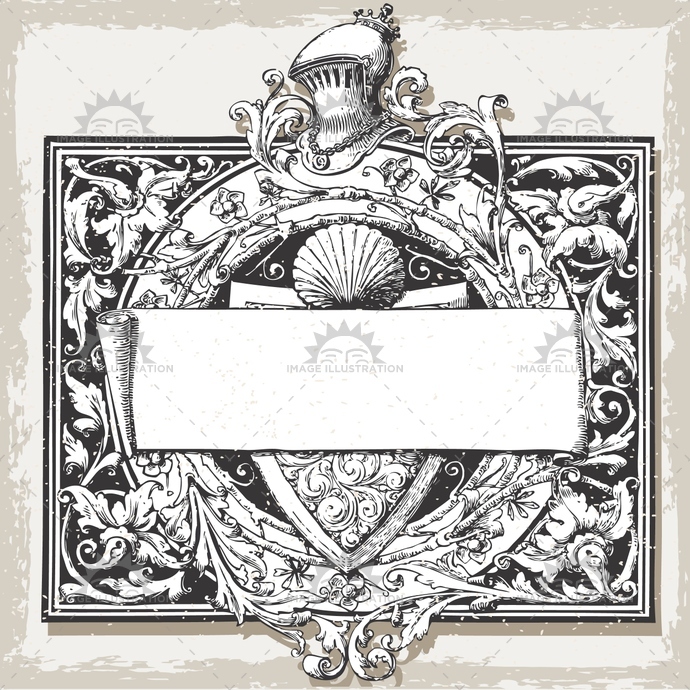 Tags: allegory, antique, background, banner, baroque, block, border, calligraphic, circle, coatofarm, decoration, decorative, design, elegant, elm, floral, flower, frame, invitation, label, old, ornament, ornate, retro, round, seashell, shield, style, title, vintage.